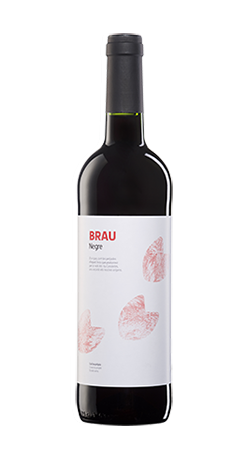 Originally Brau de Bot was the only wine that we bottled. It was a red wine with the same style that the one we sold in bulk at our retail winery shop: it was full bodied, rustic and with high percentage of Grenache. This fact became a quality sign so, in general, our reds had a distinction in quality that the rest of the wines didn’t have. Thanks to that wine, the red wine of Bot enjoyed popularity among the people who came here to buy Terra Alta wines. 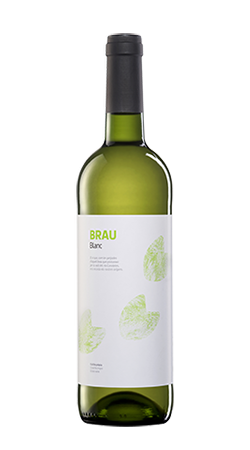 Brau de Bot is our oldest reference brand and also tells the tale that attributes the origin of the name of the town to the figure of a big bull, a bull that grazed around Sant Josep hermitage. This hermitage is located in the heart of the Canaletes river valley, on top of a hill privileged to see the mountains that surround the town: Agulla, Rocaplana, Falconera and all the local landscape. Best daily wine since 1962. 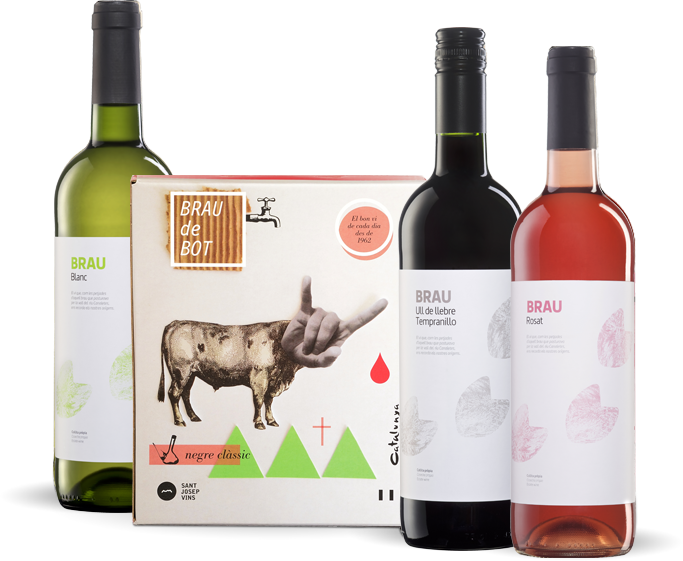 Faithful to the original values of the brand Brau de Bot, we have worked to create the family that best represents the tradition of daily consumption of wine in our local Catalan towns and cities. 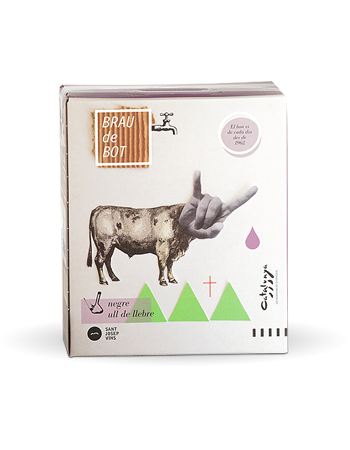 Brau de Bot lets you choose between three types of wine and five styles of high quality and definition, very versatile at the table and with many possibilities to accompany specific situations. 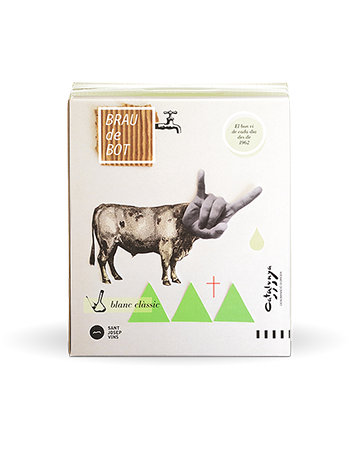 Some Brau de Bot are packed in bag in box; a compact and practical packaging that once opened allows optimal preservation of wine for at least three months. The bag in box incorporates a tap dispenser that allows precise and accurate service of wine. You always have the wine ready to fill the traditional porrón, a regular glass or a wine glass. It’s ideal for domestic consumption and for gastronomic celebrations, such as paella and calçotades. 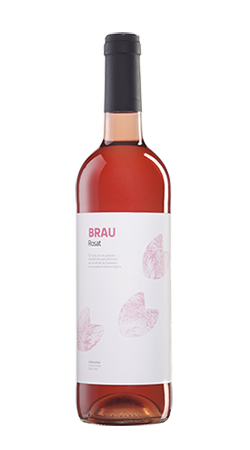 Originally Brau de Bot was the only wine that we bottled. It was a red wine with the same style that the one we sold in bulk at our retail winery shop: it was full bodied, rustic and with high percentage of Grenache.This fact became a quality sign so, in general, our reds had a distinction in quality that the rest of the wines didn’t have. 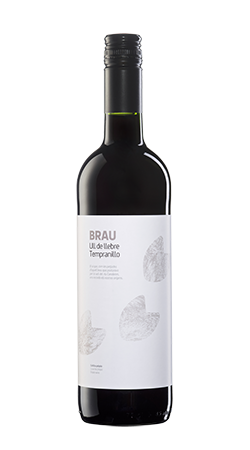 Thanks to that wine, the red wine of Bot enjoyed popularity among the people who came here to buy Terra Alta wines. 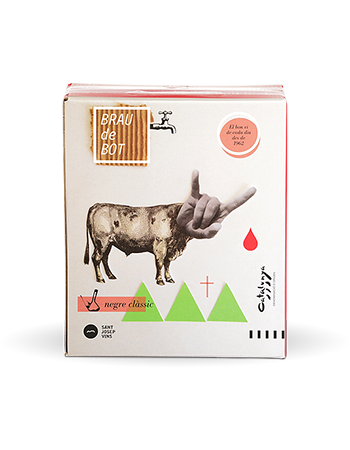 Brau de Bot is our oldest reference brand and also tells the tale that attributes the origin of the name of the town to the figure of a big bull, a bull that grazed around Sant Josep hermitage. This hermitage is located in the heart of the Canaletes river valley, on top of a hill privileged to see the mountains that surround the town: Agulla, Rocaplana, Falconera and all the local landscape.